Potential clients are always searching for dependable lawyers, attorneys, mediators, jurists, and consultants online. 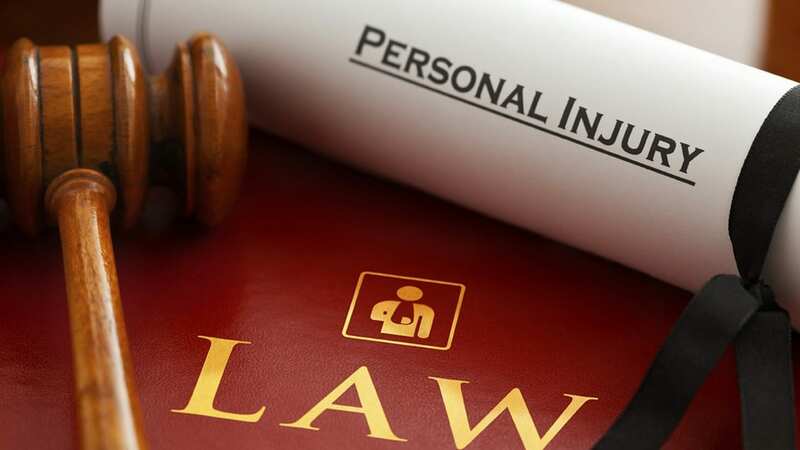 Therefore, you should develop your law firm and professional profile online using Attorney Websites Templates. These well-documented themes allow you to add your specialty areas and the services that you offer in strategic places of your website. They are compatible with many browsers and some of them are translation ready- implying that you can offer your services across the globe. 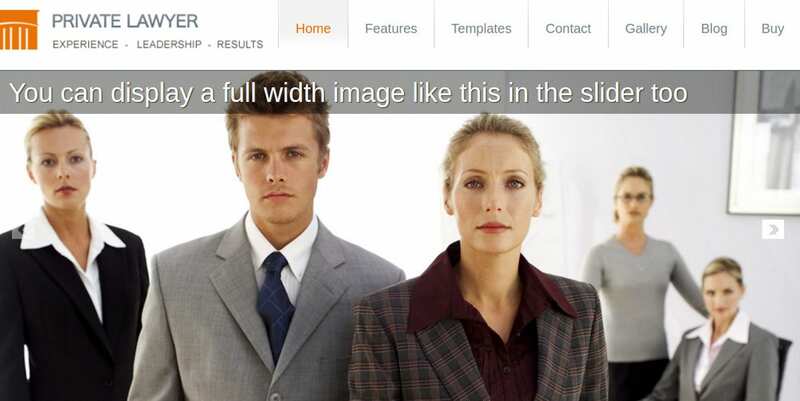 The website template that costs $75, offers the best way to present your law firm to your clients. Business, finance, and law website owners can also manipulate this theme to suit their services. It features a full-width slide, a large typography, and a couple of varying blocks for your preferred content. The Business Law Firm Website Theme contains more than 40 shortcodes, powerful themes, and a single click demo. This easy to manage WordPress Theme features a responsive layout, Google fonts, unlimited colors & sidebars, web sliders, at least nine homepage variations, and you can integrate it with social media. This website template contains easily editable content and layout. It also contains eight sliders and gallery options. Apart from its twenty widgets and modules, the Law Firm Moto SMS HTML template is SEO friendly and responsive in mobile devices. This documented theme costs $139 and operates on all main browsers. The Advocate Law Firm Website theme features unique layouts for your home page and a 100% responsive design. It contains advanced page builder and theme options. This WooCommerce ready WordPress Theme is also translation ready. Legal advisors, lawyers, and law-related services can perfectly benefit from this editable and customizable theme. This theme allows you to create trust among your clients. It features the brown color of stem wood, and call-to-action and contact buttons. You can display images in its muted colors without attracting a lot of unnecessary attention in this Responsive Theme. It has drag-and-drop options, page builder, content modules, widgets and more. 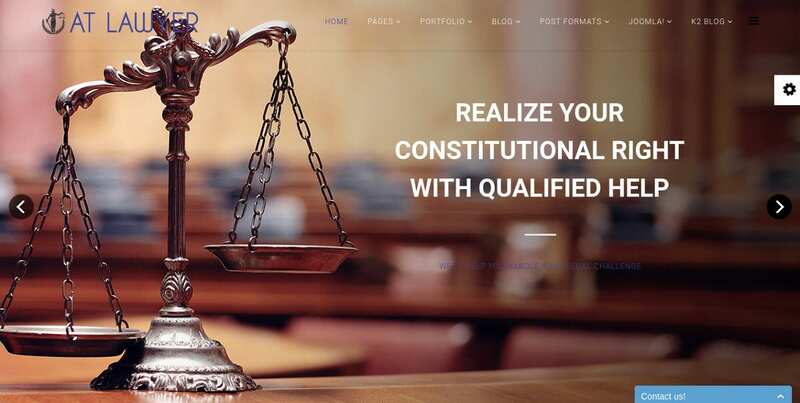 This single page Joomla website theme for attorneys and lawyers comes with more than 80 module positions, at least 12 extensions, and 11 color styles. It is responsive and operational on major browsers. It also contains PSD files, contact form, custom tables, editable fonts, Google maps, icons, and quick start package. 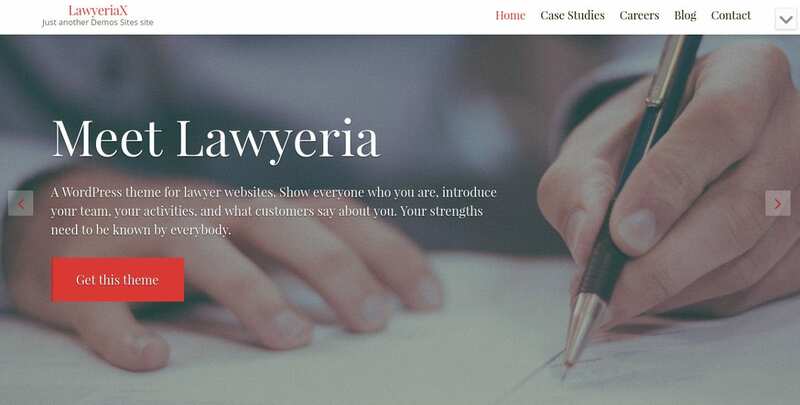 This easy to customize Barrister Law Firm website template suits law companies, legal offices, and attorneys. It features Short-codes, animated data & CSS3 animations, Web fonts and customizable background, fonts, and colors. It also prides in advanced typographical features, SEO optimization, sidebar, icons, responsiveness, documentation, coding, and install & demo content. This well-documented website template is compatible with Drupal 7.x and its engine of version 7.28. It features valid coding, HTML5, CSS3, and jQuery. It is ideal for forums, blogs, and portfolios and features Google maps, Google fonts, Social options, live search, customized modules, cross-browser compatibility, and SEO optimization. 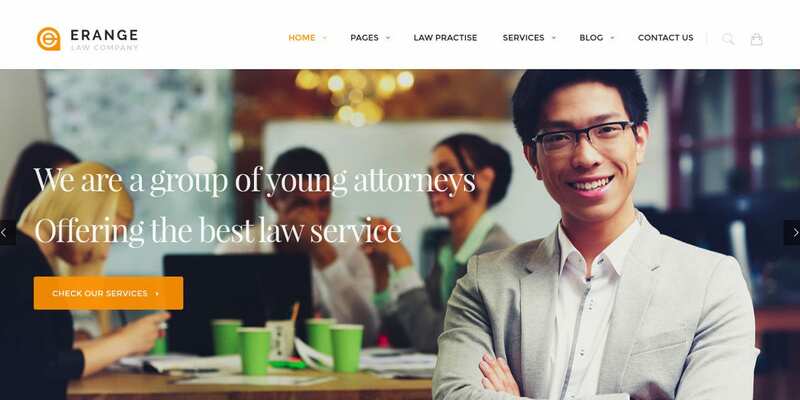 Responsiveness and minimal design define this Law Firm Joomla Template that contains social comments, typography options, and an enhanced layout manager. It has been coded with CSS/ JS and designed on Bootstrap 3.2. It features formats for article posts, header, off-canvas menu, awesome fonts, strong framework, and a variety of page title options. This WordPress theme for legal consultants contains five headers, four homepages and is SEO optimized. Its drag and drop editor makes it easier to customize and edit its colors, widgets, documentation, and single column view in any major browser. Its responsive layout is also compatible with WooCommerce and WordPress Software. The Corporate Law Firm WordPress Theme is supreme for lawyers, law firms, mediators, jurists, and similar companies. This professionally designed theme is multilingual and translation ready. It contains simple themes, several sidebars, PSD & HTML files. Apart from customs and widgets, it brags of unlimited colors, free installation service, and custom posts. 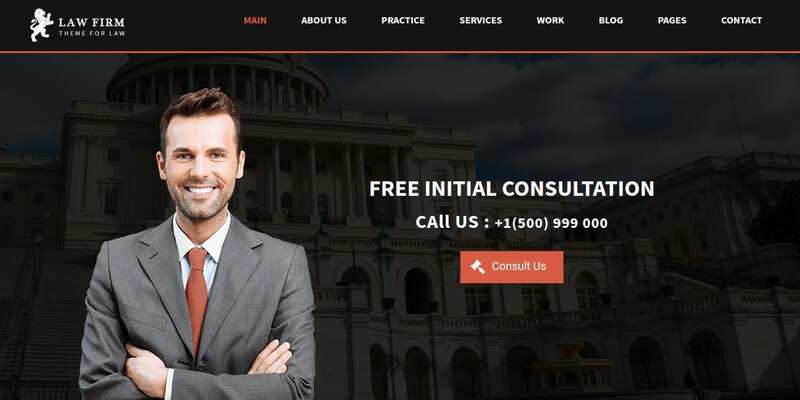 The Law Firm Joomla Website theme is compatible with Joomla 3.2.0x – 3.6x. It features sliced PSD, Tooltips, working galleries, Drop down menu, Google Web Fonts, Google Maps, Social Options, and commenting system. You will love its responsiveness, cross-browser compatibility, and single column layout that is easy to use and edit. 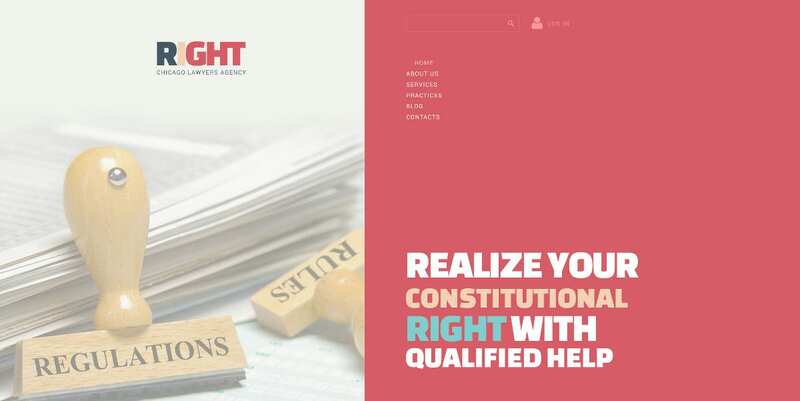 This Practice Law Firm theme for lawyers and private attorneys comes with eight sample pages and unique design elements. It contains light and dark headers, contact form, SEO, sliders, parallax options, footer and blog pages. You can add your bio and clientele testimonials. It also has bars, circles, Google Maps, pricing tables and service boxes. 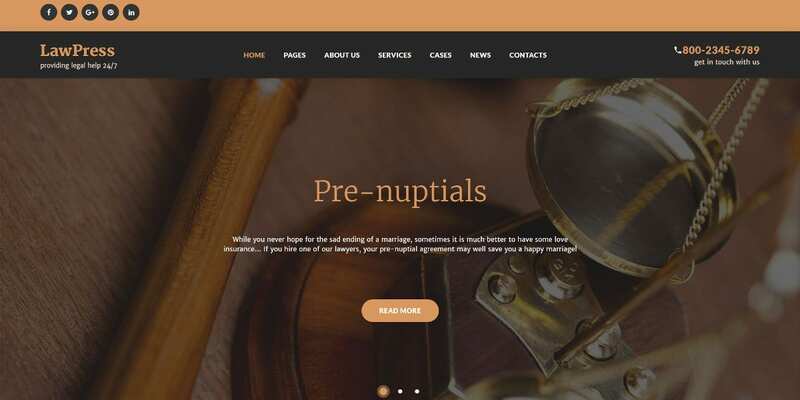 The Premium Attorney WordPress Website Theme features cross-browser compatibility, custom widgets, localization, theme options panel, plug-ins, and unlimited colors. Its HTML/ PHP coding is clean, easily editable, and customizable. This template featuring responsive layout allows you to add your contacts, images, and introduce your staff and market your services. 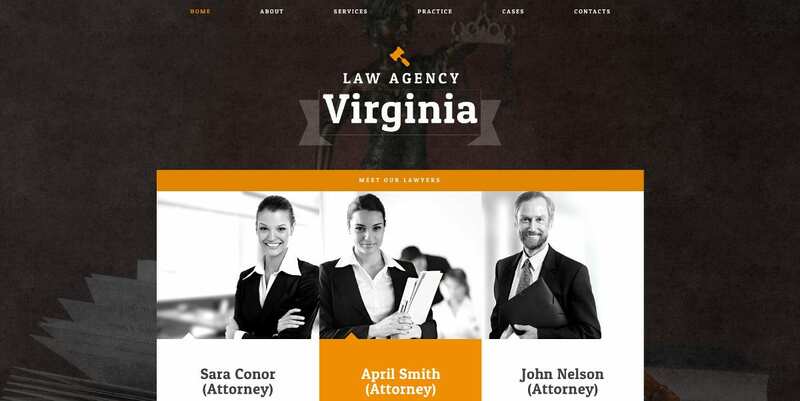 This Consultant Law Firm theme is WPML compatible and SEO optimized. It features sticky menu, 600+ Google Fonts, cross-browser compatibility, coding, Google Maps, font icons, options panel, drag and drop editor, and revolution slider. It offers free updates for users, efficient support, documentation, contact form, links, and social media management. 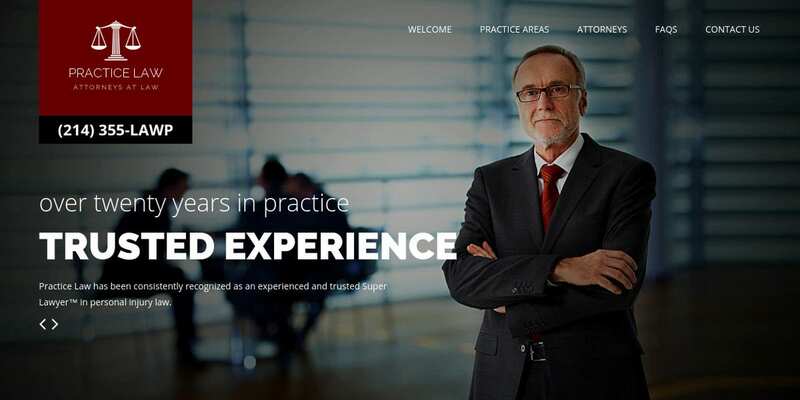 The Lawyer WordPress Theme suits mediators, jurists, and private lawyers. It features a functional contact form, gallery templates, cross-browser compatibility, responsiveness, ten color schemes, and documentation. With $59, you can use this WordPress theme on unlimited domains for infinite websites. It contains services section, widgets, footer, social icons, and sliders. This clean and organized template for private lawyers allows editing fonts and colors from its 5 color schemes. It contains a precise design for the homepage. It also contains PSD file, excellent support, threaded comments, design settings, multi-use license, gravatar support and integrated sliders. You can add widgets using the drop down menu. Finally, when seeking to advance in your law-related career, you should use the Law Firm Website Templates. They have been designed to suit your occupation, implying that you can easily earn the trust of potential clients. Luckily, these templates are affordable and allow you to edit and customize them as you see fit.